We all have things in this world that inspire us, and arguably one on the most inspirational things in this life is music. The great thing about music is that you don’t have to be a singer, songwriter or even a musician in order to appreciate. It is like art, we can all find a way to interpret it and incorporate it into some aspect of our lives. 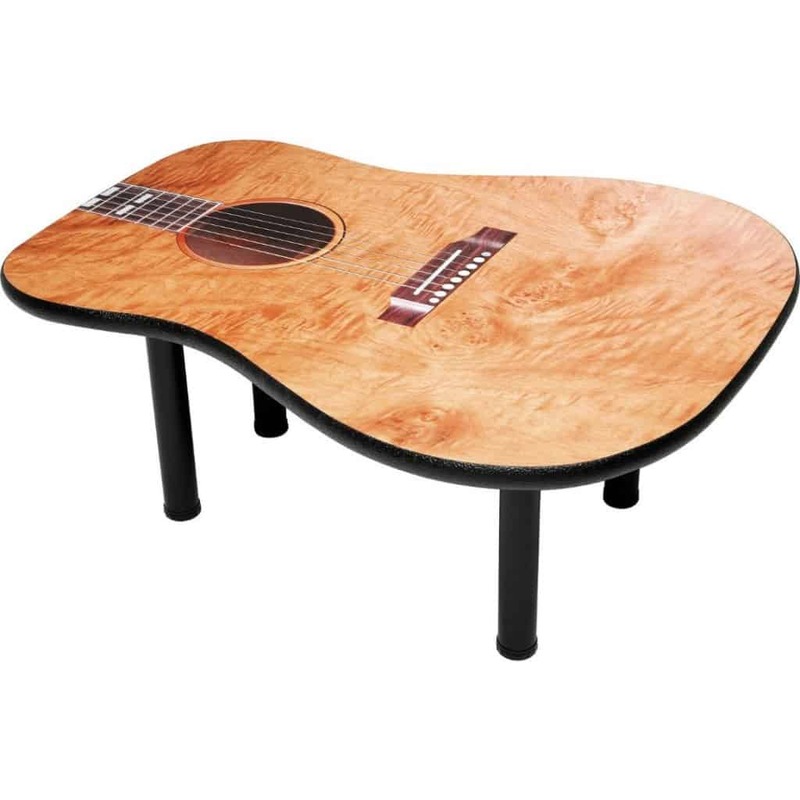 Case in point – music clearly inspired the creation of these amazing music themed household items- and aren’t we happy it did? 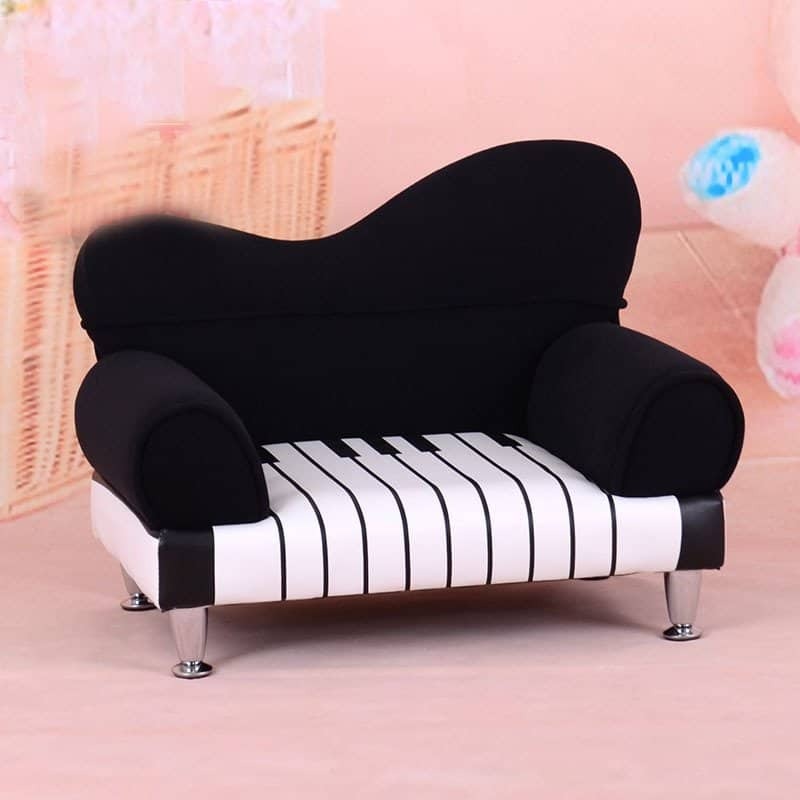 It’s not okay to sit on a real piano but it’s perfectly fine to sit and relax on this piano inspired couch. You might even get musically inspired while you’re at it. 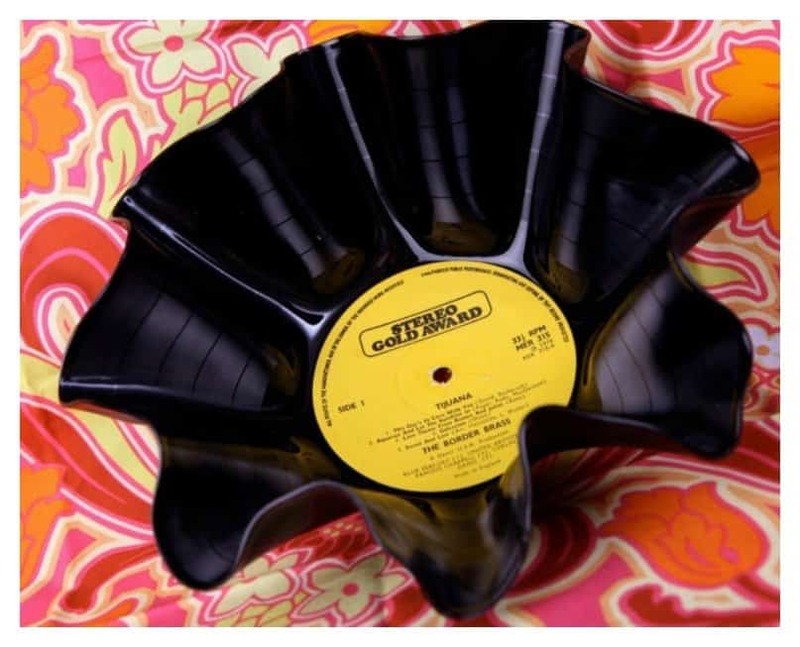 This unusual bowl wasn’t just made to resemble an old vinyl record; it was actually created using one. So dig up your box of old records from the basement and try your hand at making this music inspired bowl. 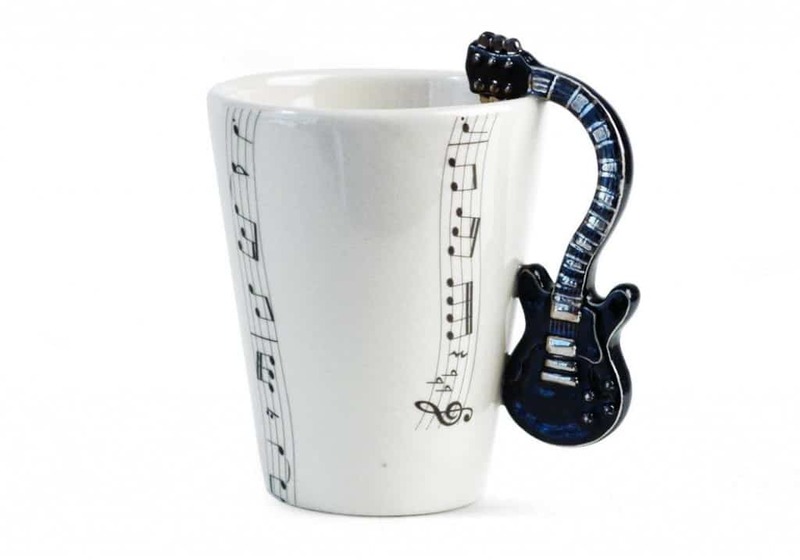 So the cup doesn’t play music or anything like that, but it does have a rocking guitar for a handle and a few musical notes adorning the mug. 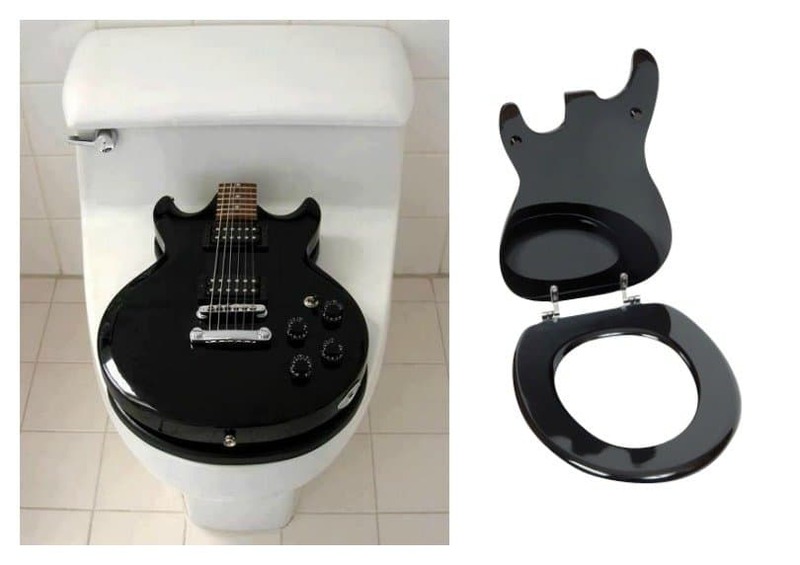 In my mind Mick Jagger wrote many hits while sitting on one of these totally rocking, guitar toilet seats. 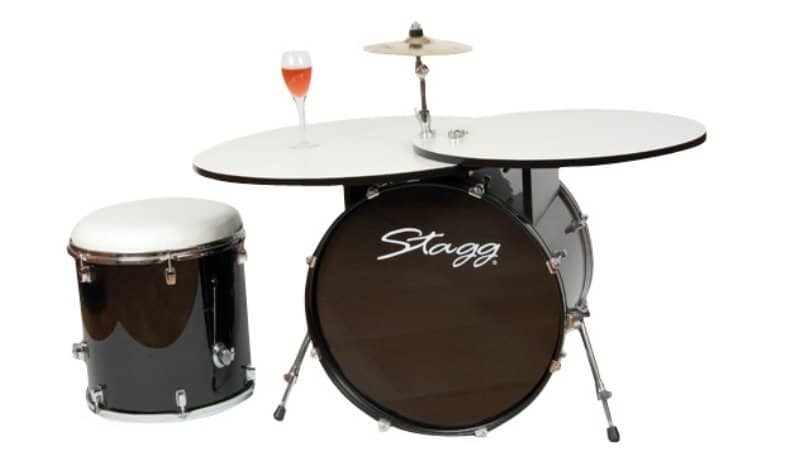 So maybe you don’t like the idea of a music themed toilet seat, but how about a rock-n-roll drum table complete with a stool? Yes Please! 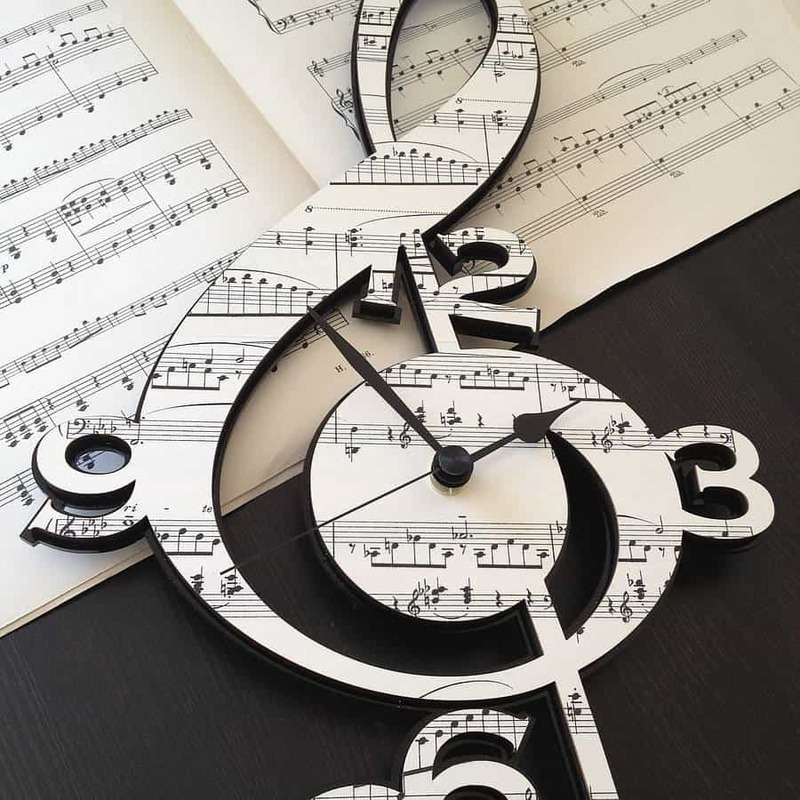 Not only will this jazzy clock keep you on time all the time, but every time you look at it, you’ll remember to get some more practice time on your piano, or finish writing that new song you keep putting off! 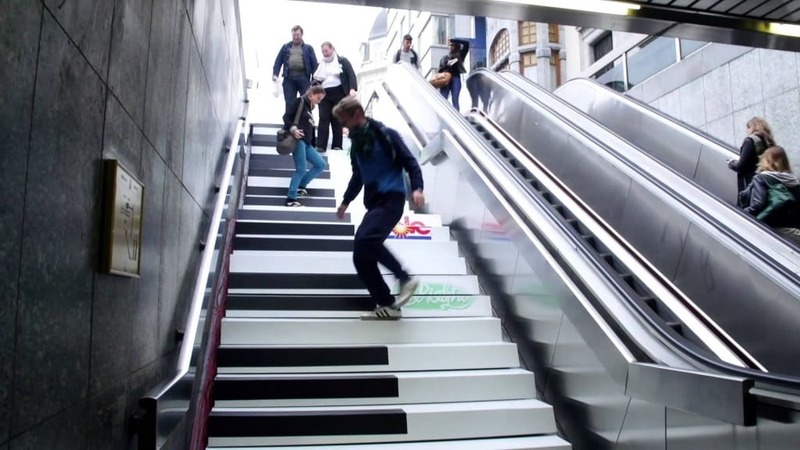 The piano staircase has actually gotten quite popular and can be found in many public places around the world such as train stations where kids and adults alike seem to enjoy this cool concept. 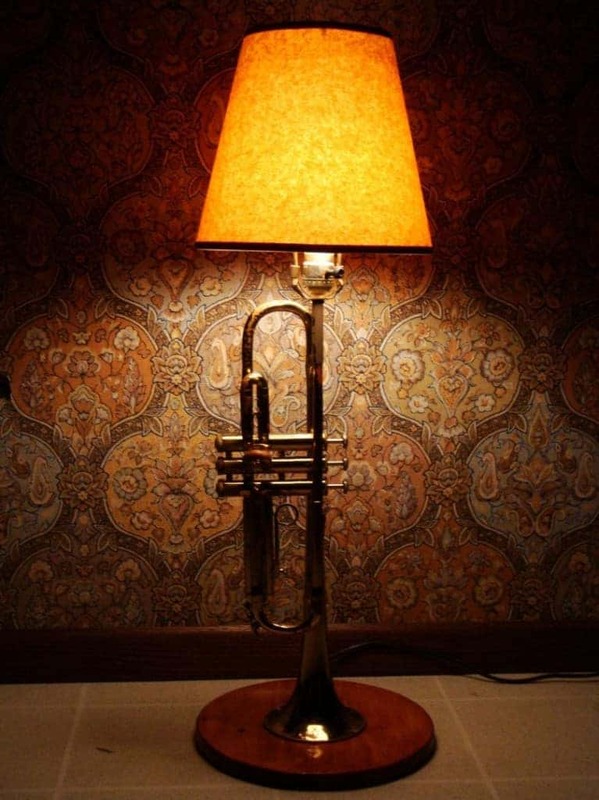 This trumpet lamp is certainly a welcome addition if you’re working with a music themed decor. But either way, it’s a unique lighting fixture that you won’t see in your neighbors house. When your grand piano gets old, there’s no need to toss it out. 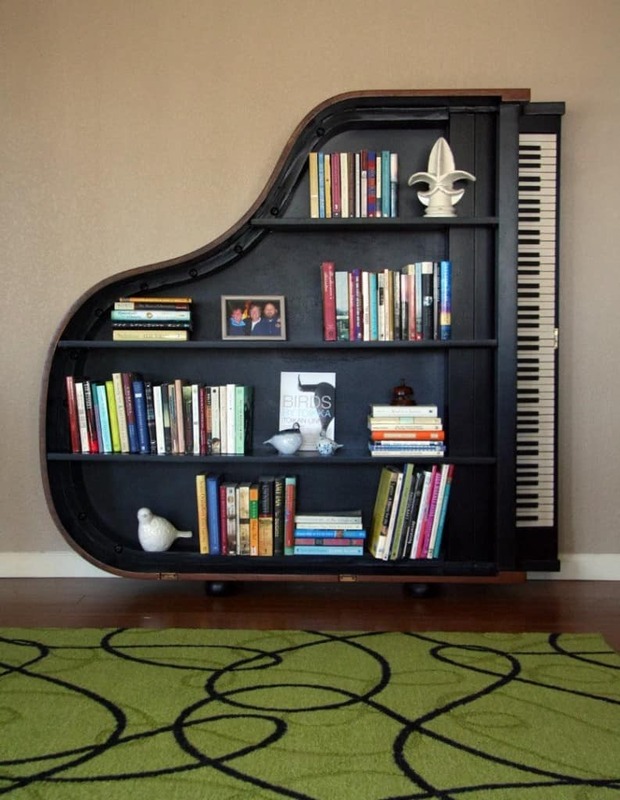 A simple DIY video can show you how to turn your beloved piano into a great book shelve for your living room. 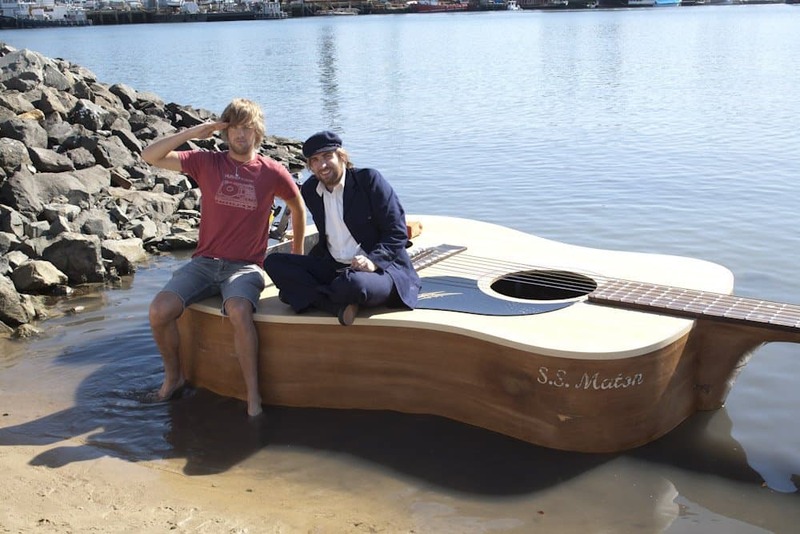 It’s not everyday that you see someone chilling in a guitar shaped boat. But when you do, you certainly can’t deny the fact that this is a pretty cool and creative idea. 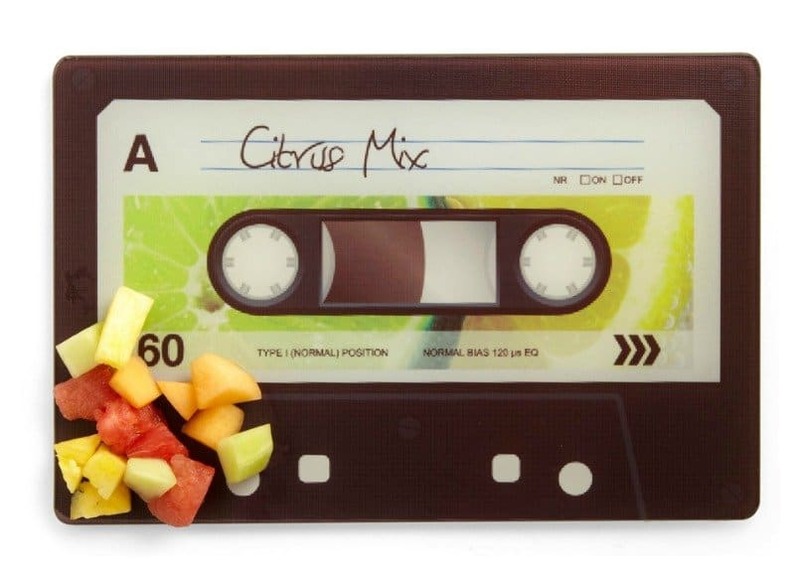 This may look like a retro cassette tape but it’s actually a music themed cutting board made to look just like an old school cassette! 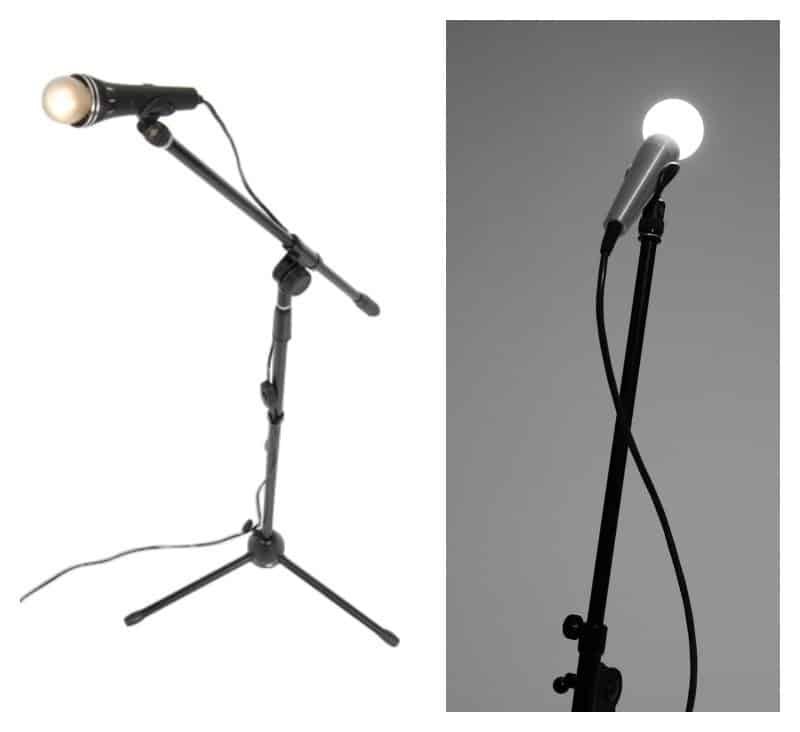 Before you go belting out your favorite Whitney Houston impression, just make sure you’re crooning into a microphone and not a lamp that looks like one. This is pretty cool. 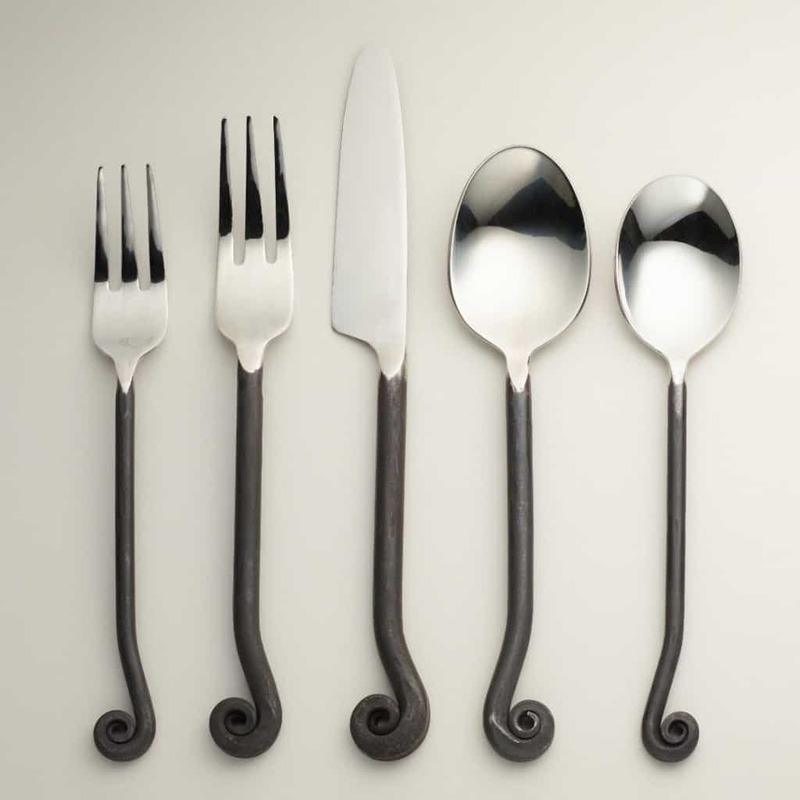 If I ever decide to invite Celine Dion to dinner, you bet your lucky stars I’m going to try and impress her by serving dinner with these awesome treble clef flatware. She’ll sense my love for music and maybe a duet will come out of it. 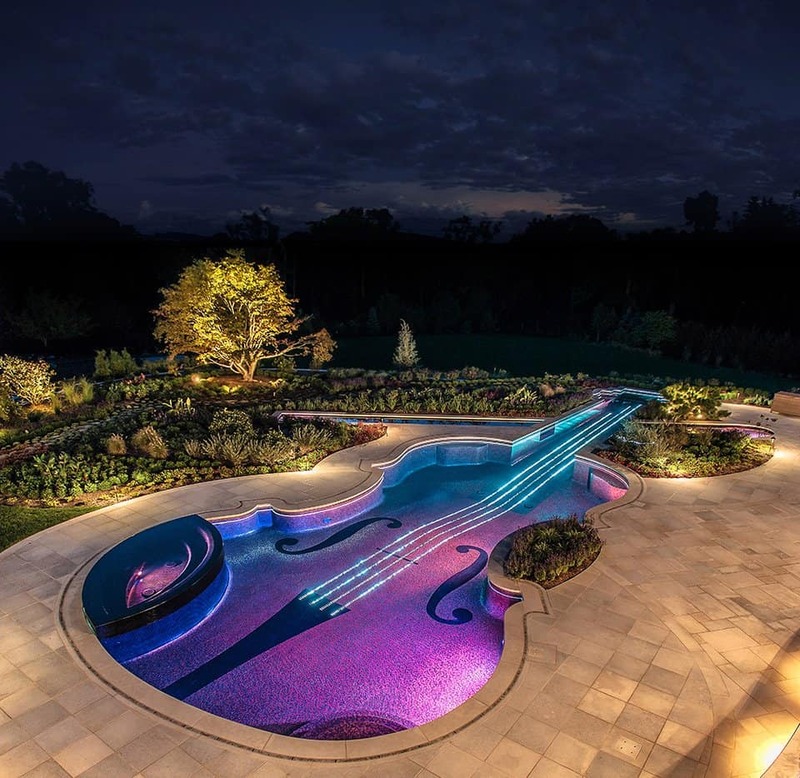 One way to impress your friends and peers is to invite them to your fabulous mansion and serve cocktails by your one-of-a-kind, violin shaped pool!